Slovak National Accreditation Service (SNAS) awarded the international accreditation for certification of anti-bribery management systems according to ISO 37001:2016 standard to QSCert on 24.1.2019. QSCert belongs between the leaders in certification of anti-bribery management systems in the long term. 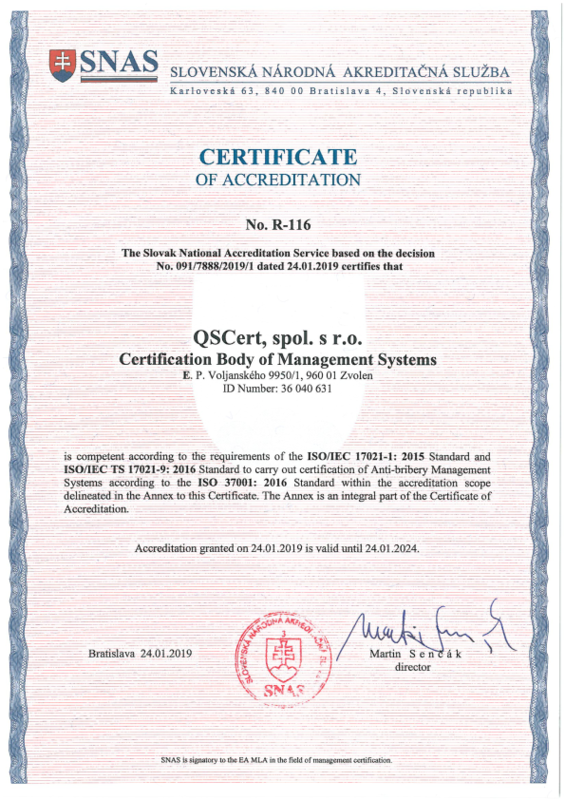 Until now nonaccredited certification according to BS 10500:2011 standard has been conducted by QSCert. Since 24.1.2019 the accredited anti-bribery certificates will provide even higher added value for certified subjects.